A land of myths, stories, literary geniuses and intriguing temples! Kolkata is the city that has given us master storytellers like Satyajit Ray and Rabindranath Tagore. Such is the magnificence of this beautiful metropolitan city. Even in this age of modernization and technology, if one thing has remained ethereal is the love for life, paintings and gods. And you shouldn’t expect anything less from a city that celebrates Durga Pujo with such gusto and zeal. If this historical and mysterious city has always piqued your interest, start your exploration by visiting the museums in Kolkata. After learning about its culture, history and art in detail, a visit of the famous historical places in Kolkata is also recommended. However, if you also believe in the Hindu gods, set out on a journey to visit the famous temples in Kolkatabecause nothing will soothe your soul like a journey to the door of the lord himself. 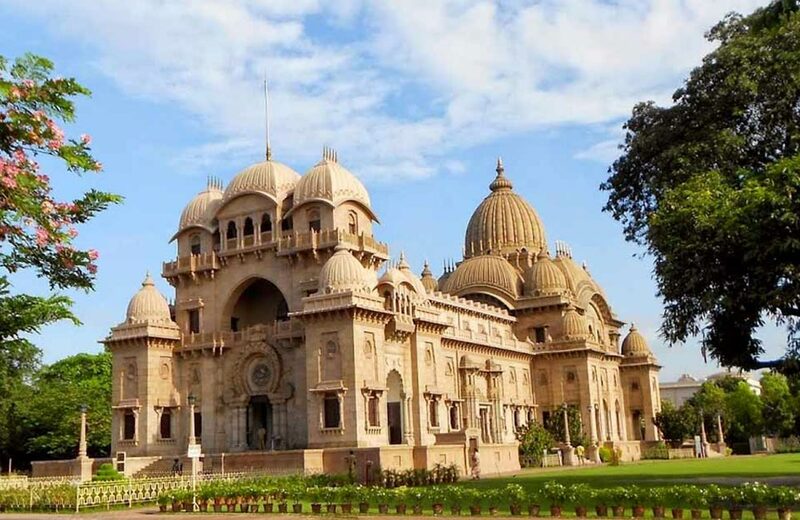 A spellbinding structure built in the pious white colour, Birla Mandir Kolkata, West Bengal is sure to appeal to your devout heart. Built by the industrialist Birla, the entire temple took around 26 years to be completed. Opened to the public in the year 1996, this temple has seen enormous footfall over the decades and for good reason. The structure of the temple has been crafted to perfection with minute engravings showcasing quotes from Bhagvad Gita. Dedicated to Lord Krishna and Radha, the temple later on added statues of various other deities as well. If you are confused about which temple you should visit first when in Kolkata, this is where you should start your religious sojourn. 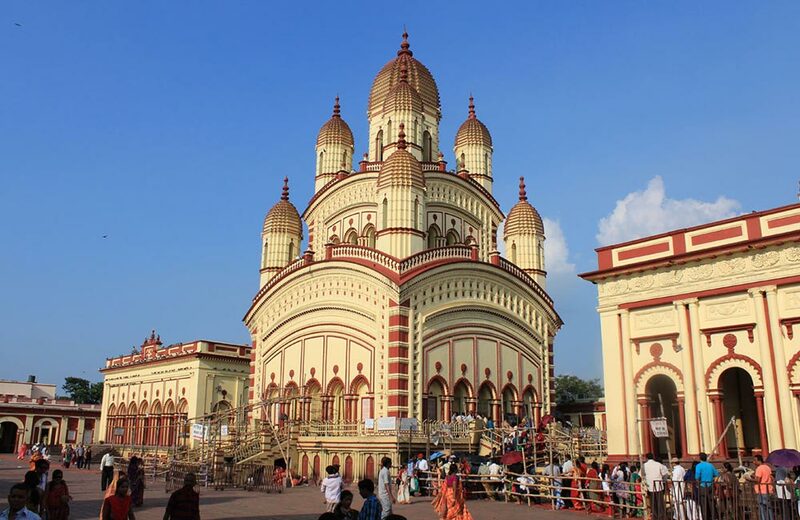 No list of Kolkata temples is complete without the mention of the most prominent Kalighat Temple. Dedicated to Goddess Kali, Kalighat Mandir is of prime importance for the Bengali community given their deep reverence to all the forms of Goddess Durga. And if you didn’t already know, Goddess Kali is considered one of the avatars. Many devotees of the goddess flock this temple in great numbers every year. It is also one of the 51 Shaktipeeths found across the country. If you have been planning to visit all the Kolkata Kali Temples,we recommend you start your journey from this one. Because this is where you will find a huge idol of the goddess etched out in black stone with three eyes, multiple arms and a protruding gold tongue. Any devout follower of the goddess will be thrilled to see the idol with his own eyes. After visiting the most famous Kolkata Kali Mandir, there is another one that you shouldn’t miss out on. 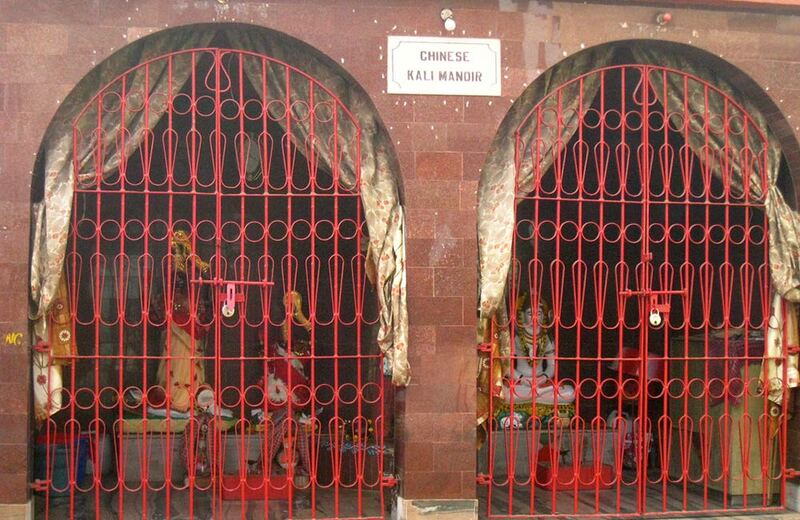 The Chinese Kali Mandir is unique in its own way and a proof that religion doesn’t divide but unites people. Dedicated to Lord Kali, but run by Chinese descent priests, and a place where mostly Chinese people come and worship the goddess, this place should definitely be on your list if you consider yourself a dedicated follower. The goddess is worshipped according to the Chinese rituals and the most fascinating thing about the temple is the fact that standard Chinese takeaway is served as Prasad on Saturday nights. 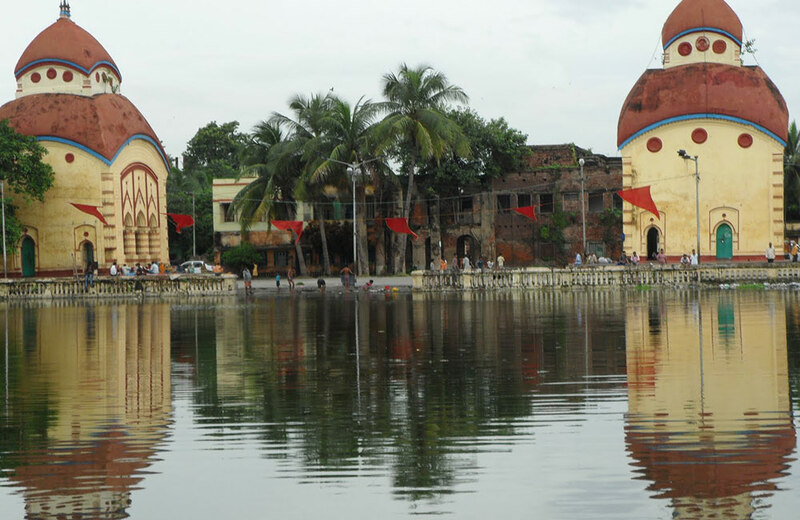 Located on the banks of river Hoogly lies the most famous and quintessential Dakshineswar Kali Temple. A three-storied structure built in the early 19th century, this Kali Mandir is sure to leave you awestruck. Unlike other Hindu temples, this one consists of nine spires and has been built in the classic Bengali architectural style of Navratna. The story behind the origin of this temple is quite interesting. It is said that a devotee of Goddess Kali ordered the construction of this temple after she appeared in the dream. Asking the founder (and devotee) Rani Rashmoni to cancel the upcoming trip to Varanasi, Goddess Kali named Kolkata as the place where a temple in her honour would be erected. The people of Kolkata worship Goddess Kali very fervently. Lake Kalibari is proof of this. This Kali temple is again built in reverence of the famous Goddess. 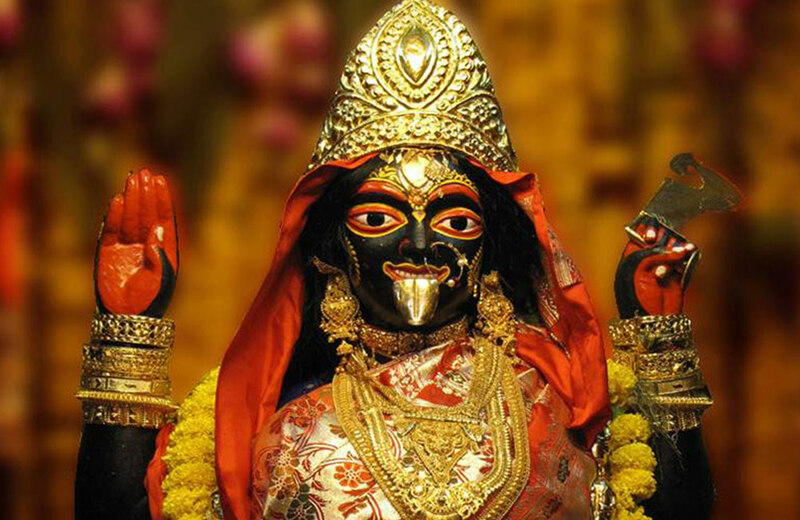 However, the deity inside the temple is of Goddess Karunamoyee, another aspect of Kali. The temple was established in the year 1949 by another devout follower of the Goddess – Mr. Haripada Chakraborty. If you seek the blessings of this Goddess of justice and shakti, head to this temple located on Southern Avenue. There are very few temples in India following the Parsi traditions of prayers and rituals. This is one of the reasons why the Agni Mandir, Kolkata is one of its kinds. As the name suggests, Agni Mandir is dedicated to the renowned Fire God. The god of fire is integral to the Hindu mythology and he is invoked first whenever a prayer is carried out for the five elements of earth. This is for the simple reason that Fire is creator of life and an essential element that helps sustain life. 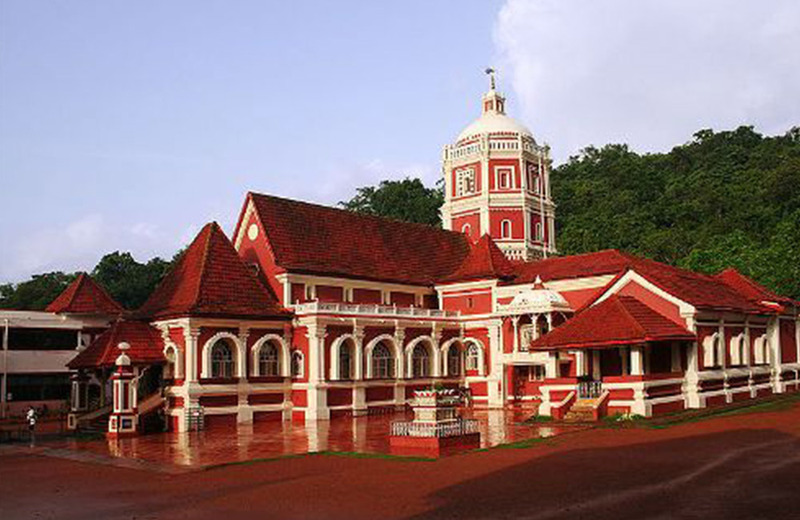 Coming back to the temple, it was built in the year 1912 and is integral to both Hindus and Parsi. Built in a stark vermilion red colour, the temple contains a holy flame which burns throughout the day and night. However, this is not open to the general public. Pilgrims and visitors can see an image of the holy flame on the first floor itself. And even this image attracts a large footfall. A centre for Ramakrishna Mission and a temple dedicated to Ramakrishna Paramhanse, this temple was built by Swami Vivekananda. Another temple built on the banks of river Hoogly, this one stands opposite Dakshineswar temple. The centre was built in the year 1938 and consists of 4 temples. If the exterior of the temple doesn’t interest you, the Christian, Hindu and Muslim motifs built inside will surely pique your interest. Unlike other temples, this one is a stunning example of brotherhood of all religions. It is slowly garnering the praise and love it deserves. Take a tour of the temple or simply spend a few hours listening to the teachings of Swami Vivekanda. They are awe-inspiring and talk about how the youth of India will lead the future. Jain temples in India are a rarity, especially in Eastern India. While there are plenty of famous Jain temples in Rajasthan, Mumbai and Delhi, one finds these fine examples of good architecture and a place of worship for the Jain community only at specific places. If you are in Kolkata and would love to witness the spectacular ways of worship of the Jain community, visit the Calcutta Jain Temple. 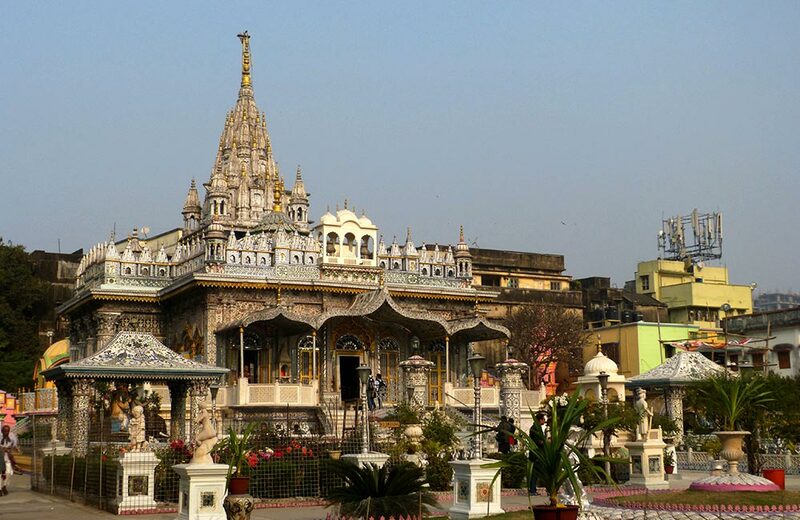 Also known as the Parshwanath Jain Temple, it was founded in the year 1867 by Rai Badridas Bahadur Mookim. 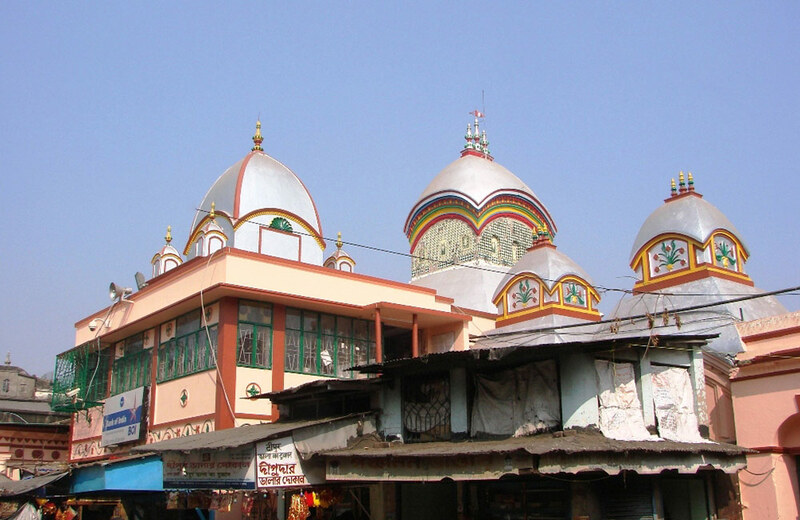 A popular Jain dharamshala in Kolkata, the structure comprises of four individual buildings with each offering stunning insight in the Jain community. 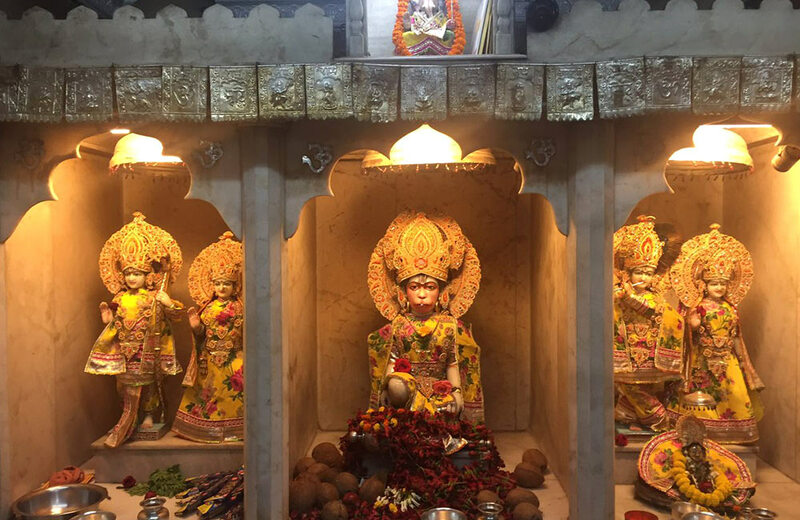 While the main deity of worship here is the 23rd Tirthankar – Pareshnath, four other deities who are also considered as the avatar of the Tirthankar are worshipped in the different buildings. If you do plan to visit the temple, spend some time soaking in the grand spectacle it offers. Each building has intricate detailing, stained glasses and colourful elements making it one of the most beautiful temples in the entire city. Another significant attraction of the place is the eternal flame which has been burning since the temple was first inaugurated in 1867. 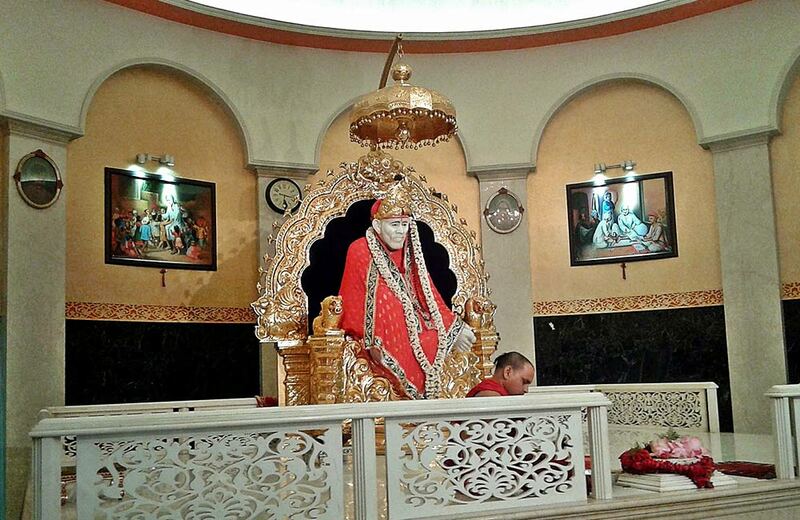 Before this temple was established in the year 1913, there was no temple in Kolkata dedicated to Sai Baba. Today, this is one of the most visited temples and an important place of pilgrim and worship for all the devotees of Sai Baba. While the structure itself is not grand and opulent like most temples, this one has its own air of tranquillity and peace which draws visitors all throughout the year. He is known by many names but the most popular of them all is Sankat Mochan. One of the most earnest followers of Lord Ram, Hanuman has been depicted in every scripture and temple at the feet of Lord Ram. Lord Hanuman always believed that his place is at the feet of his god and this devotion has led him to being revered all throughout the country by Hindus. If you also believe in the power and strength of Lord Hanuman, visit this biggest hanuman temple in Kolkata. Explore the temple and spend some time telling Lord Hanuman all your problems and you will surely garner the strength you need to fight any difficulty in life. The temple not only sees a footfall of Hindus but people of other religions as well. 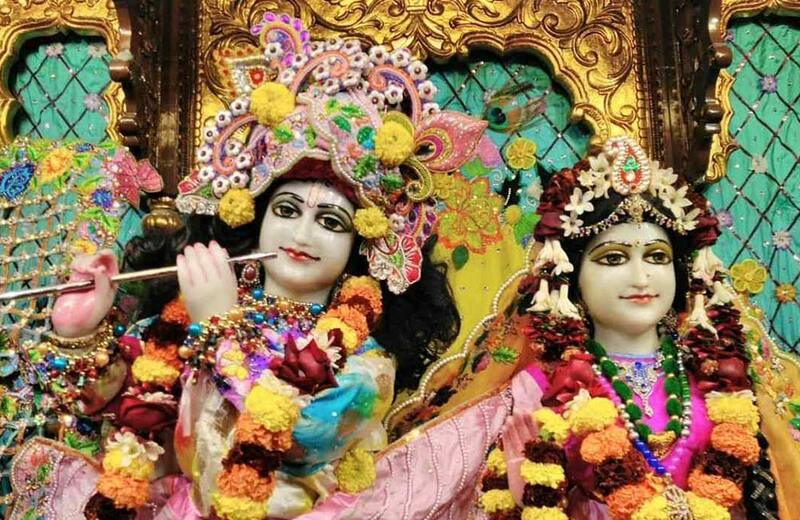 Built in the memory of Lord Krishna, ISKCON temple has several branches all across the country. ISKCON temple Kolkata was established in the year 1970 for the devotees of Lord Krishna and Radha, his lifelong love and partner. Also renowned as Sri Sri Radha Govinda Mandir, the temple is like every other ISKCON temple. Complete with beautiful engravings of quotations from Bhagvad Gita on the interior, and a large hall meant for religious activities and evening aartis offered to Lord Krishna. Visit the temple in the evening to see it lit up and giving a spectacle that you just cannot miss. Last, but certainly not the least, is the Bhukailash Shiv Mandir Kolkata, West Bengal. Dedicated to the Mahadev Lord Shiva, this temple is flocked by devotees as well as common tourist all throughout the year. One of the most important and beautiful Lord Shiva temple in Kolkata, visit the temple to witness the tallest idol of the God of Destruction. Yes, the twin temples were renovated recently and today they are a breath-taking sight for all the devotees of the Supreme Being. 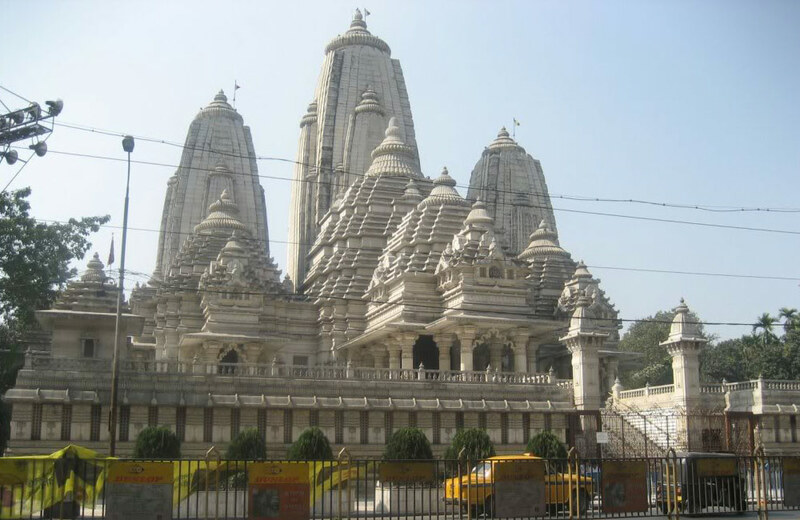 These are only a few temples in Kolkata we have featured given their popularity and importance. However, if you want to take a tour of almost all the temples in the city, we suggest you spend a few days and book a good hotel in Kolkata. If not the temples, there are various serene and beautiful places in Kolkata one should not miss out on. From the Victoria Memorial to the streets lined with lip-smacking food, you can experience a plenty of things in Kolkata. And of course, there is always the time for Durga Puja, when a 9-day carnival like atmosphere engulfs the entire city. So, make sure you do attend it at least once in your life.